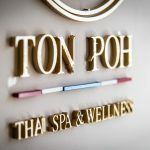 How do I get to Ton Poh Thai Spa & Wellness? We are situated on First Floor , 757-759 Fishponds Road, above Superdrug store. Will I need to provide my medical history? If you are a first-time visitor to Ton Poh Thai Spa & Wellness, you will be asked to complete a consultation form covering medical history. This is for your safety, and to allow us to best tailor your treatment to your needs. Do we have a shower facility? Yes,we have a shower facility (subject to availability), but please note that your therapist will remove any oil with hot towels at the end of your treatment so you may well not need one. What are the payment options when I book? Cash is always welcome! Although,card payment is available with the extra charge of £1.50 per transaction. What is your policy on cancellations, refunds, lateness and no shows? We respectfully ask that you provide us with a 24 hour notice of any schedule changes or cancellation requests. Please understand that when you cancel or miss your appointment without providing a 24 hour notice we are often unable to fill that appointment time. This is an inconvenience to your therapist and also means our other clients miss the chance to receive services they need. As a courtesy to our massage therapists and our other clients, if you do need to cancel your appointment, please let us know as soon as you can. For this reason, you will be charged 100% of the treatment cost if appointments are not cancelled 24 hours before the allocated treatment time. Repeated failure to arrive for treatments may lead to us asking for pre-payment for any future treatments. If you made an online booking, you will have paid for your massage in full. If the appointment is cancelled within 24 hours, you will receive a full refund in credit back to your account so you can use it to re-book. We request that you arrive 10-15 minutes prior to your appointment time to allow time to fill out any required paperwork as well as answer any intake questions your therapist may have. Unfortunately, we cannot alway provide late arrivals with an extension of scheduled appointments. In special cases we may be able to accomodate a partial or full appointment. This will be at our discretion and only with proper advanced notification of your late arrival. The full service fee will be charged. In return we will do our best to be on time, and if we are unable to do so we will add time to your session to make for our late arrival or adjust the service charge accordingly. Although most people experience positive outcomes from massage, some people may experience some side effects. 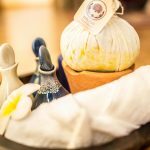 Please see the Aftercare Advice Sheet for Massage, Body Treatments available in the “Is there any after care instructions that I need to be aware of?” section. ​The average full-body massage treatment lasts approximately one hour, not including the pre/post consultation. Many people prefer a 60- to 120-minute session for optimal relaxation. Always allow relaxation time prior to and after the session. Unfortunately there are several medical conditions that would make massage inappropriate. That’s why it is necessary that you fill out the consultation forms before you begin your session. Your massage therapist will ask general health questions to rule out if you have any contraindications to massage. It is very important that you inform your practitioner of any health problems or medications you are taking. If you are under a doctor’s care, it is strongly advised that you receive a written recommendation for massage prior to any session. Your massage therapist may require a recommendation or approval from your doctor. Will the massage oil used make me break-out? At Ton Poh Thai Spa & Wellness, we only use 100% natural based carrier oil blended with 100% essential oil. It is hypoallergenic and suitable for sensitive skin. However, if you have sensitivity to certain types of oils or lotion, please bring it to the therapist’s attention. Make yourself comfortable. If your therapist wants you to adjust your position, they will either move you or will ask you to move what is needed. Otherwise, change your position any time to make yourself more comfortable. Many people close their eyes and relax completely during a session; others prefer some talking. It’s up to you. It is your massage, and whatever feels natural to you is the best way to relax. Do not hesitate to ask questions at any time. 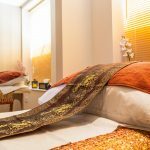 You may or may not need to undress during the massage which is depending on the primary technique your therapist uses. For an oil massage, most people undress completely. However, underwear is requested on your bottom half. Your massage therapist will give you privacy to undress, and you will be covered with a towel at all times except the area being worked on. However, our Traditional ‘Thai’ Massage offers fully clothed (Thai Pyjamas). If there is any aftercare instructions that I need to be aware off? 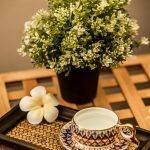 After each treatment you will receive aftercare advice care advice sheet to help you get the most out of your treatment.